It's perfect to show your unique sword collections with it. 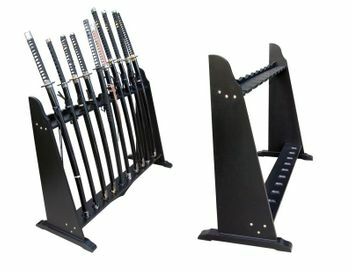 10 pcs sword lined up in a row right next to each other. How great is that? Don't leave your swords lying around collecting dust; display their individual uniqueness! Great for every collection! This Black Wooden Sword Stand will hold 10 swords in vertical position. 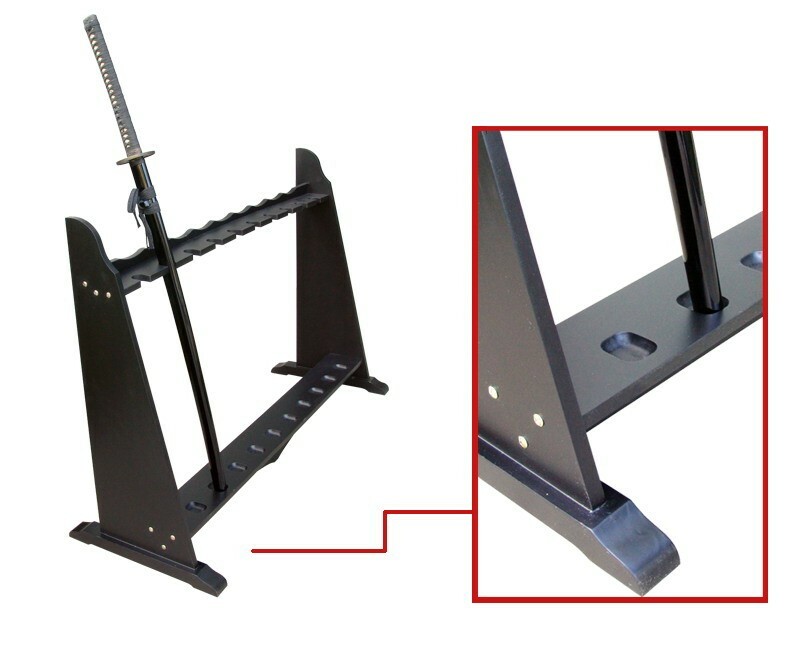 The stand is a floor mount and is built sturdy. Note: The swords in the pictures are not included.